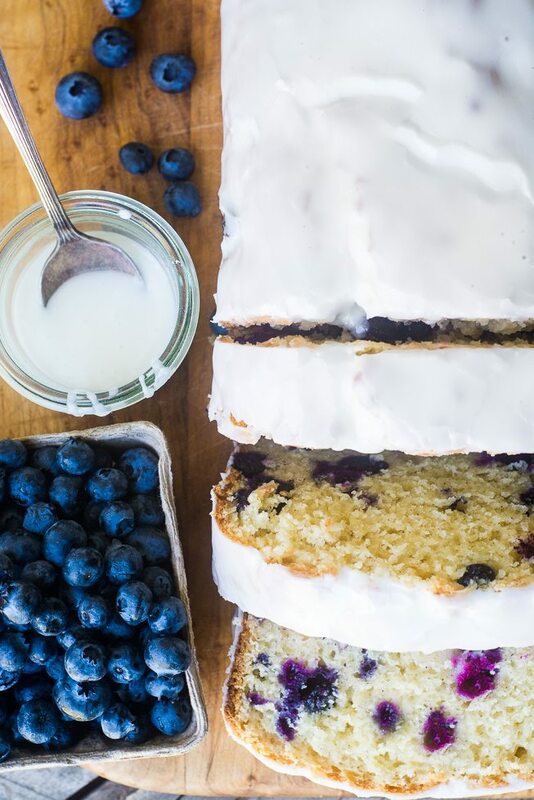 My Blueberry Lemon Pound Cake is a quick and easy one bowl loaf cake recipe that showcases one of my favorite flavor combinations for spring and summer! 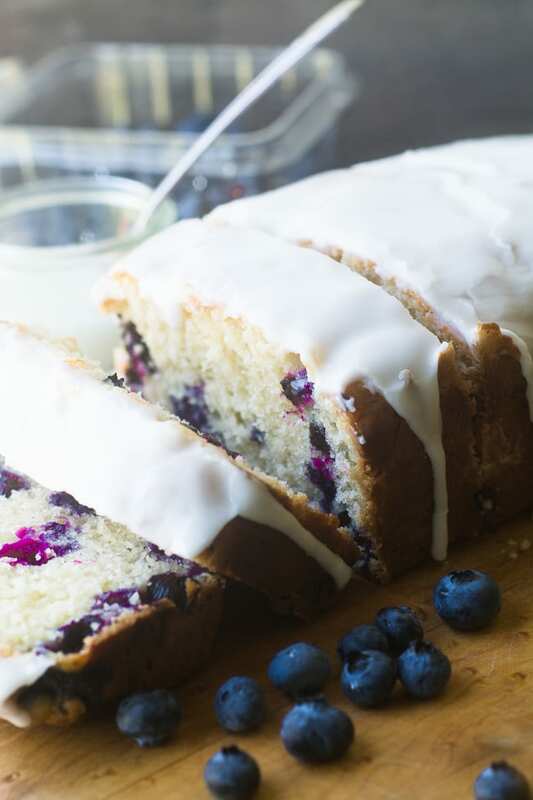 I don’t know about you but I can’t resist the combination of blueberries and lemon, it’s such a juicy, bright pairing, and they bring out the best in each other in this delicious pound cake. I’ve used the same flavor combination in my Blueberry Lemon Bars, my Blueberry Lemon Shortcake, and one of my all time favorites, my Blueberry Zucchini Snack Cake with lemon Buttercream. 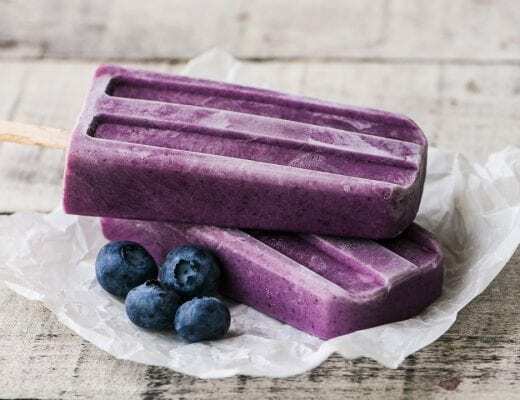 Blueberries are plentiful and cheap in the summer, so this will be our breakfast for the next couple of days, and I wouldn’t be surprised if it makes another appearance around here pretty soon. It also makes a great snack, or a lovely dessert served warm with a scoop of vanilla ice cream. I love quick breads that use oil rather than butter because they’re so easy to throw together. No waiting for a stick of butter to soften on the counter ~ grab a bowl and a whisk and you’re good to go with this one! The hardest part is waiting while it bakes! “Made this last night and subbed sour cream for the yogurt like you suggested. Huge hit! Blueberry Lemon Pound Cake is a quick and easy one bowl loaf cake recipe that showcases one of my favorite flavor combinations for spring and summer! Lightly spray a standard 9x5 loaf pan. Whisk together the oil, eggs, vanilla, sugar, yogurt, and lemon juice. Add the flour, baking powder, and salt, and blend well. Toss the blueberries with 1 tablespoon of flour, and fold them into the batter. Turn the batter into the pan and bake for 50-60 minutes, or until risen and done in the center, check with a toothpick. Let the cake cool before glazing. 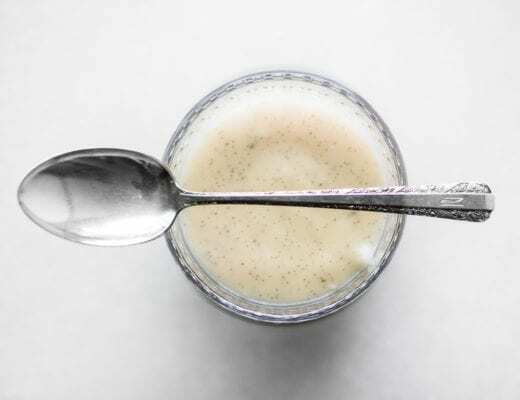 To make the glaze mix enough lemon juice with the sugar to make a spreadable consistency, start with 3 tablespoons.. Use more lemon juice to thin it, or add sugar to thicken. This cake would work well with a variety of summer berries–try blackberries or raspberries instead of the blueberries! You can also play with the flavoring in the glaze–vanilla or almond extract would be a nice addition, and you can thin it with a little milk or cream instead of the lemon juice if you prefer. To make a richer cake, use sour cream instead of the yogurt. If you want to make this cake ahead, wrap it well in plastic and wait to glaze it until you are ready to serve. 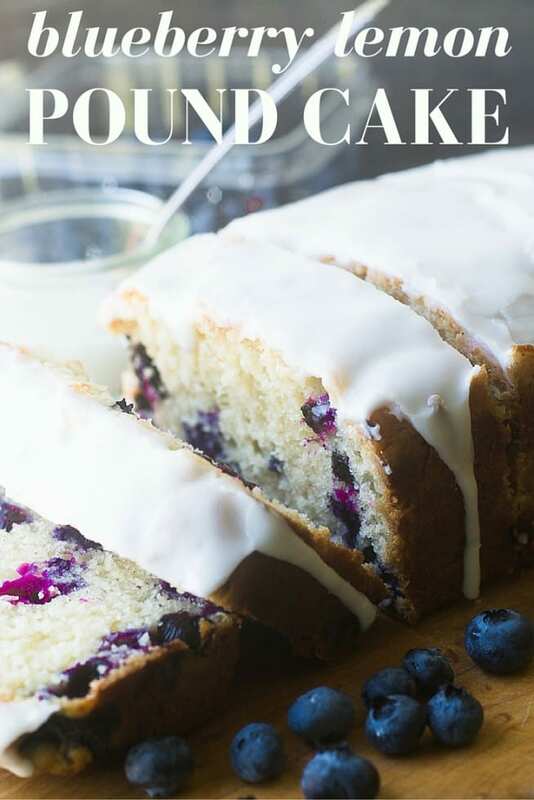 Thanks for pinning this Blueberry Lemon Pound Cake! You could, and I would use them from frozen. That sounds delicious! Ok great thanks! I will report how it goes. can you make this into mini loaves? if so temp and time? im loving all your recipes!!! You can certainly bake this in mini loaf pans, Sandi, at the same temp, for maybe 30 minutes, give or take. Check on the earlier side, though, in case your oven temperature is off. I made your cranberry bars today they were beautiful and delicious! Made this last night and subbed sour cream for the yogurt like you suggested. Huge hit! I love simple recipes that you can whip up in one bowl with a whisk and not have to dirty half the kitchen. Thank you! Thanks Jay, I’m so glad you enjoyed it. Today is the turn to bake this beauty. I’m super excited to see how it turns out. One quick question though, with these ratios it seems like the batter will be very loose? Is that right? Thanks! I prefer butter. Is it a 1:1 conversion? I think you can do that, Andie, using the same amount of melted and cooled butter. I just made this wonderful blueberry lemon pound cake exactly as the recipe said. It started to get brown on top after 30 minutes so I let it bake 5 more minutes. Tested it and it was done. The next time I make it I will add some spices to jazz it up. My friends enjoyed it soooo much. thank you. I agree with you on oil vs butter, who wants to wait for butter to soften? ;) This looks fabulous! Can’t believe the recipe is so simple yet it yields a perfect texture. Love the idea of using Greek yogurt and lemon juice. It’ll be dangerous to put this cake in the house, because the whole thing will be gone in a day! Can I use frozen blueberries? I live in South Africa and it’s Winter right now. I need to make this pound cake a.s.a.p? Oh my goodness, Sue. This is just so darn delicious looking! Lemon and blueberries are divine and always feel like such a special treat. LOVE this! This pound cake looks delicious, love this combination and the fact that you used oil instead of butter. Absolutely gorgeous and my favourite flavours, too! Shared!! You are truly the pound cake queen! I love everything about this beautiful, drool-worthy loaf. Well, everything except the fact that it’s here on my computer instead of here on my counter! Pound cakes are so simple yet often so elegant too. They never lose their appeal. Love the blueberry addition. Oh boy! I’m a sucker for pound cake. Blueberry and lemon is a perfect flavor pairing. Beautiful photos. Mmmm you can’t beat a simple pound cake recipe! These blueberries look so plump and juicy too. Great recipe! These blueberries were plump, but I have to admit, I’m crazy-nuts for wild blueberries when I can find them. Blueberries and lemon is one of the best combinations ever! 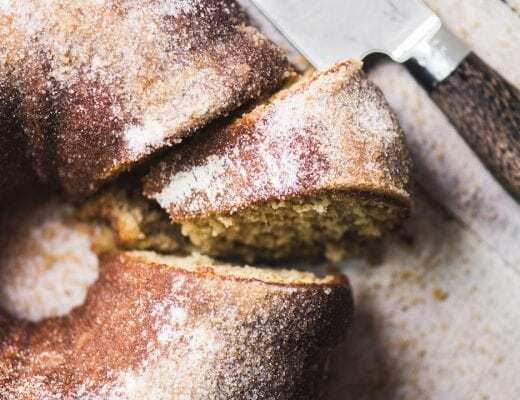 I love pound cakes, they’re easy to make and perfect for breakfasts! I think that’s why I make pound cakes over and over again, they are so easy, and there are so many ways to customize them. What a perfect cake! I need to try the oil instead of butter trick and love the you have yogurt in the recipe too. AND … the cake is absolutely gorgeous and so are the photos :) Sharing and pinning and wishing I had a great big slice! Those are some beautiful blue berries. Thanks for the recipe! 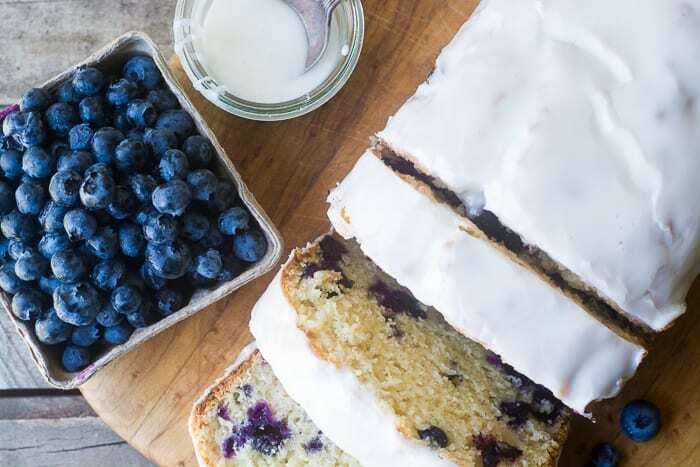 I have been thinking to make a cake with blueberries…here you go, with this gorgeous blueberry pound cake..and paired so well with that sweet tangy lemon icing. I’ve been seeing blueberries all over the place, I’m still baking with them! Thank you for all these..I am fit to be tied to the oven for a bit today!